This boutique River North fitness studio offers yoga and high-intensity training classes, but perhaps coolest of all, is the spinning experience. 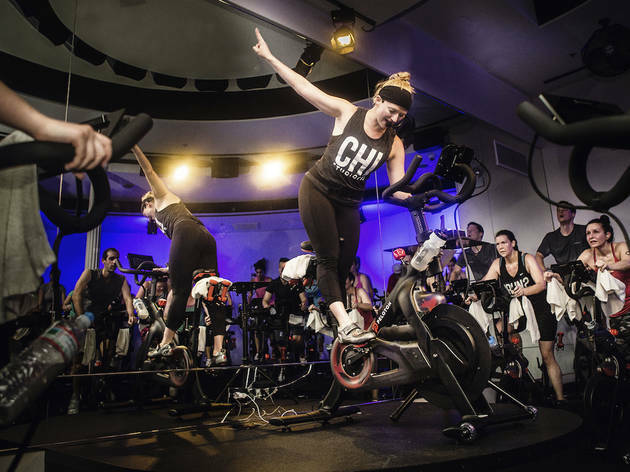 Studio Three offers both 45- and 60-minute class options on brand-new Peloton bikes. 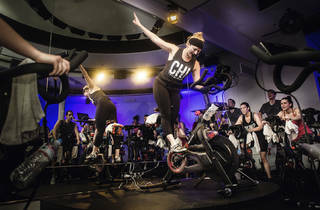 The concert-like experience with stadium seating, professional lighting and a booming sound system is sure to keep you motivated—it also happens to be the only live Peloton broadcast studio in the U.S. outside of NYC. All spinning students are given free Peloton shoes to use for their workout. Other perks include the posh locker room with complimentary skincare products, a trendy clothing shop and a Real Good Juice Co. bar. The description on Time Out talks a lot about the spinning classes but this studio also offers high intensity interval training and yoga. I can only speak to the yoga... which is incredible. They have excellent instructors, clean nice showers, lockers, and complementary mats and towels. It is a bit posh but not in an intimidating way. The average class there is pretty intense hot yoga. Not great for beginners in my opinion. Everyone in the yoga studio is very friendly and welcoming.